The founding orthopaedic surgeon of the O.L. Miller Foot and Ankle Institute of OrthoCarolina in Charlotte, North Carolina, practicing there since 1989. Recently joined the Titletown Sports Medicine and Orthopaedic Clinic in Green Bay. Fellowship trained in foot and ankle disorders (Dr John Gould, Milwaukee WI ’88) with a large experience in sport related injuries. Served as a team orthopaedist to the Carolina Panthers from 2000-2017 and now an associate team physician to the Green Bay Packers. Has served as the chairman of the Foot and Ankle Subcommittee for the NFL since 2003. Recently named the co-chair of the NFL’s Musculoskeletal Committee, overseeing all orthopaedic injuries and research in professional football. Is an active consultant to a number of NFL/NBA/NHL/MLB teams and colleges. Co-founder of the OrthoCarolina Foot and Ankle Fellowship program. Chief of the Foot and Ankle Service at Carolinas Medical Center from 1989-2015. Anderson is also a past-president of the American Orthopaedic Foot and Ankle Society. 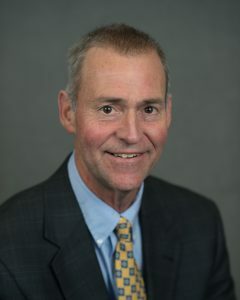 Co-editor of the 9th edition of Mann’s: Surgery of the Foot and Ankle; former Editor-in-Chief of the journal, Techniques in Foot and Ankle Surgery; associate editor/reviewer for JBJS, JAAOS, FAI, AJSM and numerous other peer-review publications and author/editor of numerous chapters and manuscripts. Born in Milwaukee, Wisconsin and attended the University of Mississippi where he was inducted into their Hall of Fame.